MTP technology with multi-fiber connectors offers ideal conditions for setting up high-performance data networks in data centers to handle future requirements. 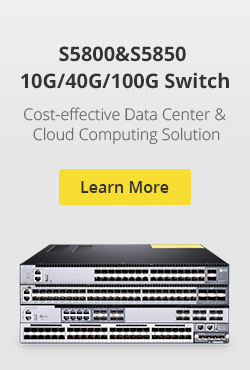 This technology makes scaling and migration to network operation with 40/100 Gigabit Ethernet easier and more efficient. There are many MTP products in the market now, such as MTP fiber cables, MTP connectors, MTP cassettes and MTP adapters. This text will tell some MTP fiber cable solutions. The MTP fiber system is a truly innovative group of products that moves fiber optic networks into the new millennium. MTP fiber and MTP assemblies take their name from the MTP “Multi-fiber Termination Push-on” connector, designed and introduced as a high performance version of the MPO connectors. MTP does interconnect with the MPO connectors. Each MTP contains 12 fibers or 6 duplex channels in a connector smaller than most duplex connections in use today. MTP connectors allow high-density connections between network equipment in telecommunication rooms. It is the same size of a SC connector but since it can accommodate 12 fibers, it provides up to 12 times the density, thereby offering savings in circuit card and rack space. MTP fiber cables as an important part of the multi-fiber connection system, are designed for the reliable and quick operations in data centers. The obvious benefits of these cables are less space requirements and improved scalability, providing significant space and cost savings. The MTP cables are generally used for 40GbE and 100GbE network environment. There are two configurations for MTP cable assemblies. One is the MTP connector to MTP connector trunk cable that connects a MTP cassette to another MTP cassette. Another is MTP connector to LC or other fiber connector. Which is often called the MTP harness cable. MTP trunk cables, serve as a permanent link connecting the MTP modules to each other, are available in 12-144 counts. MTP patch cords will not be used until 40G and 100G active devices are employed (with MTP interface). The ends of MTP patch cords are terminated with the customer’s choice of 12-fiber or 24-fiber MTP connectors. These high count MTP assemblies are ideal for backbone and data center applications that require a high fiber count in a limited space. MTP harness cables, also called MTP breakout cable or MTP fanout cable, are available in 8-144 counts. The MTP harness cables work from trunk backbone assemblies to fiber rack system in the high density backbone cabling. 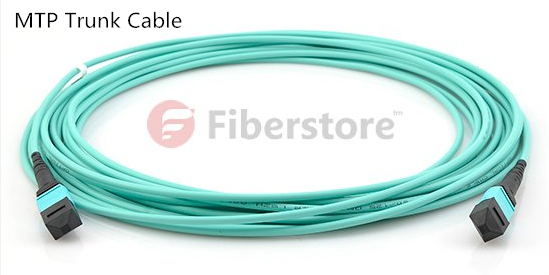 As terminated with MTP connectors on one end and standard LC/FC/SC/ST/MTRJ connectors (generally MTP to LC) on the other end, these cable assemblies can meet a variety of fiber cabling requirements. Parallel optics technology has become the transmission option of choice in many data centres and labs as it is able to support 10G, 40G, and 100G transmission. 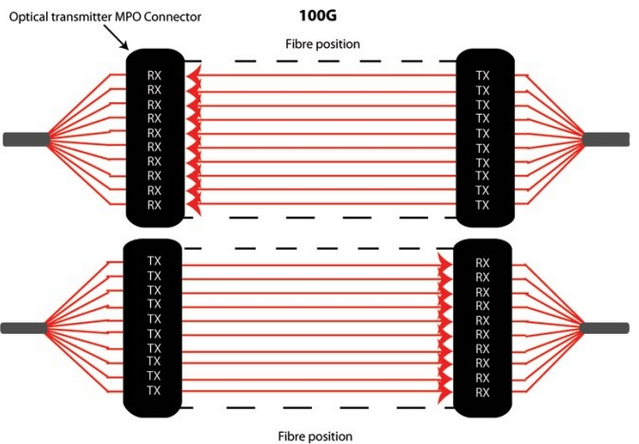 Since parallel optical communication uses multiple paths to transmit a signal at a greater data rate, factory terminated MTP connectors which have either 12 fibre or 24 fibre array will support this solution. No matter for 40G or 100G transmission, there are two MTP cable solutions. One is with the MTP trunk cable, the other is with the MTP harness cable. 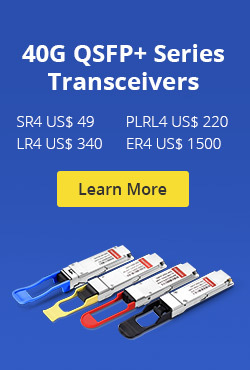 QSFP to QSFP uses MTP trunk cable, and QSFP to 4 SFP+ uses MTP harness cable. 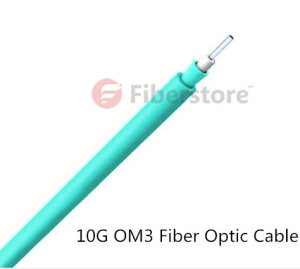 For 40GbE, a 12-fiber MTP trunk cable is used. 10G is sent along each channel/fibre strand in a send and receive direction. Here 8 of 12 fibres providing 40G parallel transmission. Shown in the following picture. For 40GbE, a 12-fiber MTP to LC harness cable is used. The IEEE ratified the 40GBASE-SR4 (MTP interface) standard that uese 4 lanes at 10G SFP+ (LC interface) per lane over multimode fiber for a total of 8 fibers. Shown in the following picture. 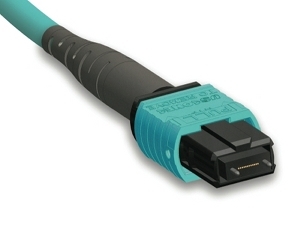 For 100GbE, a 24-fiber MTP trunk cable is used. 10G is sent along each channel/fibre strand in a send and receive direction. Here 20 of 24 fibres providing 100G parallel transmission. Shown in the following picture. For 100GbE, a 24-fiber MTP to LC harness cable is used. The IEEE ratified the 100GBASE-SR10 (MTP interface) standard that uese 10 lanes at 10G SFP+ (LC interface) per lane over multimode fiber for a total of 20 fibers. Shown in the following picture. This entry was posted in MPO/MTP solutions and tagged 40G/100G, MPO MTP Fiber, MPO/MTP solutions, MTP breakout cable, MTP Cassette, MTP trunk cable on May 22, 2015 by Alice.Gui.